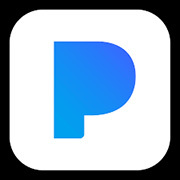 Pandora today announced financial results for the third quarter ended September 30, 2017. “We had a solid financial quarter with revenue above our mid-point and adjusted EBITDA coming in very close to the high end of our guidance,” said Naveen Chopra, CFO of Pandora." The growth we experienced in RPMs and subscription revenue indicates that our multi-tier service strategy can continue to enhance monetization in multiple listening modes. We also completed the investment by Sirius XM and the sale of Ticketfly in the quarter, strengthening our balance sheet and bringing cash and short-term investments to nearly $500 million." GAAP Net Loss and Adjusted EBITDA: For the third quarter of 2017, GAAP net loss was $66.2 million compared to a net loss of $61.5 million in the same quarter last year. Adjusted EBITDA was a loss of $5.3 million, compared to a loss of $6.6 million in the same quarter last year. Cash and Investments: For the third quarter of 2017, the Company ended with $499.4 million in cash and investments, compared to $227.6 million at the end of the prior quarter. Guidance: Guidance will be discussed during the third quarter 2017 conference call.